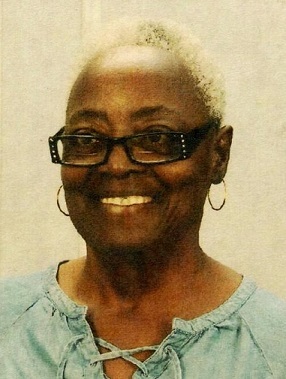 Obituary for Gloria Jones | House of Wheat Funeral Home, Inc.
Mrs. Gloria Jones, age 77, a lifelong resident of Dayton, Ohio was born February 13, 1942 to the late Adline Dixon, transitioned from this life to be in the presence of the Lord Sunday, March 31, 2019. She was educated in the Dayton Public School system. She worked at Meijer’s Store as a cashier, retired after 20 plus years of service and then became a full-time housewife. Gloria accepted Christ as her Lord and Savior and attended services at Rhema Christian Center Church in Trotwood, Ohio. Gloria, affectionately called Grandma by many was family oriented, loved everyone and fed around her. She was a loving and devoted wife, mother, grandmother, sister, aunt and friend who raised four of her grandchildren. Gloria enjoyed spending time cooking and barbecuing with family. She is preceded in death by her husband of 49 years, William Jones; daughter, Adline Acker; great grandson, Cameo Pierre Smith; brother, Bill Dixon and sister-in-law, Annie Dixon. Gloria leaves to cherish precious memories and celebrate her life, daughters, Gwendolyn and Weinfred; grandchildren, Monique Miller, Dareona and Dareon Acker, Tiffany Bass, plus four other grandchildren; great granddaughter, Juelz; sister, Melinda Fisher; brother, Herman (Linda) Dixon; a host of nieces, nephews, cousins and friends.